I know it sounds like hyperbole and hype, but Knight's Shadow truly is a must-read book, a title that I quite literally could not put down. I found myself wandering the parking lot at the office all week, reading through lunch and breaks. I kept it on the seat beside me and read pages while waiting in line at the drive through, Last night I even followed my son around the mall, reading as we walked and he played. 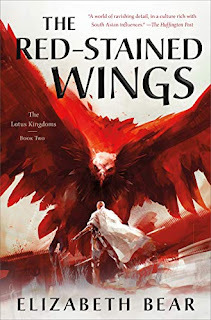 If you read my review of Traitor's Blade, then you know I had some challenges with the first book, and some reservations going into this, but you can forget everything I said. Not only has Sebastien de Castell completely won me over, but he's managed to top The Grace of Kings as my favorite read of the year. With the first book, I found that the flashbacks and history served to overwhelm the story. What happened before, especially regarding the fall of the Greatcoats, was simply more fascinating than the developing story. Here, de Castell really pulls away from those flashbacks, having Falcio, Kest, and Brasti talk about the past, but keeping us firmly rooted in the present. It shifts the focus significantly, and allows for a much better flow to the story. History is still important, and there are still mysteries to be revealed, but they accent the story, rather than drive it. As much as the characters were the strongest aspect of Traitor's Blade, I felt the book suffered a little from its focus on Falcio. Alone, isolated from his fellow Greatcoats, and developed as much through his past as his present, he conspired with the flashbacks and pacing to drag the story down. Here, we get much more of an ensemble cast. Yes, the other characters are very much defined by how they interact with Falcio, but they share the scenes. More importantly, they have significant moments of their own, allowing them to grow, to develop, and distinguish themselves. Valiana gets significant character development as well, transitioning from spoiled would-be Queen to one of the bravest and most valiant of the Greatcoats, while Darriana takes a long time to reveal herself, but proves to be most of the most intriguing and pivotal characters in the story. Even the Dukes and Knights get their moments, with several of them becoming legitimate characters, rather than just tropes or plot devices. 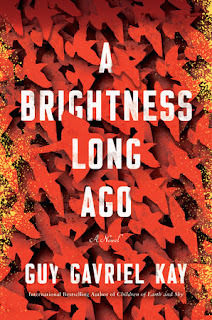 Once again we have a nice mix of adventure, thrills, dark humor, and even darker cruelty. I laughed aloud at several points, especially the scenes involving the Knights. I'm not sure any class gets skewered quite so effectively throughout the entire series. Just check out this scene in which Brasti politely requests that Knights help Kest determine who to kill first. "Right. Well, if any of you are wife-beaters, child-killers, perhaps murderers of old people, could you just sort of raise a hand or nod? It would make it a lot easier for us." But to my utter amazement, one of the Knights started to raise his hand, just for a moment before he saw his fellows look at him. No one ever said you had to be brilliant to wear armor. I also found myself regularly cringing and cursing de Castell for what he put his characters through, especially Falcio. The battle of Carefal is one of the most powerful I've ever encountered in a fantasy novel, especially in how it impacts the Greatcoats and changes their entire perspective. I won't say much more than that, as the worst examples are pivotal spoilers, but I challenge you to read through the entire Greatcoat's Lament without pausing to catch your breath, punch a wall, and rail against the world. Finally, what really elevates Knight's Shadow above its first volume is the advancement of the mythologies and world building. We find out much more about who the Greatcoats are, who they were, and who they're destined to be. Similarly, we come to understand just who and what the Dashini are, and what role they have to play in the broader conflict. With the mystery of the King’s Charoites resolved, the story advances to embrace the wider conflicts and betrayals of a world on the brink of war. 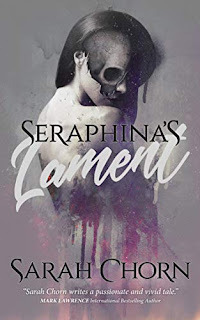 Every time you think you have it figured out, de Castell reveals another hidden motive or betrayal, turning the entire tale on its head more than once. It's brilliant, it's effective, and it's entirely satisfying. 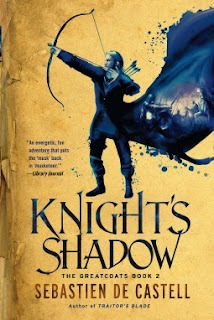 Thoroughly entertaining and emotionally intense, Knight's Shadow is the kind of historical fantasy that makes everything else pale in comparison. Sebastien de Castell gets inside our heads, inside our hearts, and under our skin. This is a powerful read, one that's full of surprises, and satisfying in absolutely every respect. If there's a problem, it's that it raises the bar so high, leaving Tyrant's Throne with some big expectations to fulfill . . . but that's a good problem to have. "Tell them the Greatcoats are coming" indeed. Wow! I really enjoyed Traitor's Blade, but didn't love it on quite the same level as many others. And when I heard this one was longer, I just haven't been motivated to pick it up, but seeing your praise makes me rethink that. Yeah, I didn't love the first myself, but the paperback of this was sitting on the shelf, demanding I give it a shot. So glad I did! Love the review! Though more and more I am beginning to think I'm the only one who liked the first book more than the second - just slightly though!